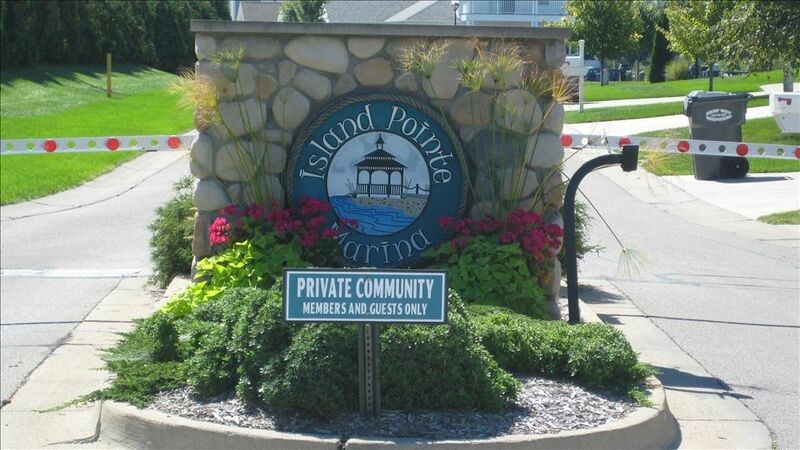 Located in Southwest Michigan, Island Pointe Marina private gated river front community. Amazing newer construction ranch style home. 2 bedrooms, and 2 bathrooms just steps away from St. Joseph River with easy access to Lake Michigan. Bring your boat or wave runners & enjoy our 40' optional boat dock. Island Pointe Marina is a private gated community with a clubhouse, heated pool, hot tub, gazebo with panoramic views. Our home is only about one mile to the award winning Silver Beach & amazing Lake Michigan! Only 90 minutes from Chicago, wow! All new stainless steel kitchen appliances. Our garage has air hockey, foosball, darts, pizza oven & TV, enjoy! No Smoking and No Pets, thank you! We built our dream vacation home, moved in November 2006. We are located on the St. Joe Rover, only a short boat ride to lake Michigan. Park your boat at our 40' pier. We are located on the St Joe River, only a short boat ride to Lake Michigan! Park your boat at our 40' pier. Our stay at the house was fantastic. It's a short drive to many great beaches. We went to a total of four different beaches while we were there for the week. The house was perfect for my husband and I, and our 3 and 5 year old children. It was very clean! Oh and the garage was like great, we loved playing all of the games. Everything in the house was fully stocked. The kitchen has every cooking utensil you could ever need. There are tons of bath towels, sheets, blankets, etc.. There were beach toys and chairs and an umbrella in the garage. We brought our own chairs but next time we may leave them so that we have extra room for souvenirs. There is even a selection of DVDs and board games incase you are stuck inside on a rainy day. The big bathtub in the guest bath was great for bathing kiddos. They enjoyed playing in it each night. My kids also LOVED that there was a tv in their room. Actually every room has a tv. There were a few days that the water treatment plant down the street was a little stinky, but not enough to dampen our fun. We used the pool and hot tub every day. It was very clean and not crowded. I give the place 2 thumbs up and we will definitely stay there again. We had a great stay! The home is very clean and well organized. Our kids loved sharing a room with the twin beds and tv :) The location is so convenient, and we loved having the pool available to us. We would definitely stay here again. Thank you! Wonderful- Leave your worries behind!!! We Love St. Joes and we LOVE this property. It was our second year in a row staying in this home. We actually even booked a 3rd stay for next year before we left because we had so much fun. The owners are absolutely fabulous to work with. Brenda was always very responsive to any questions I had and always made our stay feel so welcoming. I was concerned the 1st year we visited that there was no beach umbrella and she made sure that one was delivered to the home for our use the week before we arrived!! The home is clean and has all the essentials you will need. There are games, DVD's, sand toys, a crib, air hockey in garage, beach chairs, Umbrella, Grill, cook ware, paper products, and soap. The community is very quiet and a good location to beach and downtown area - just a short drive. We traveled with our kids age 3, and 9 and they love that the park is just outside the back sliding door. We spent many hours in the pool and hot tub. In the mornings we would walk the pier along the lake and enjoyed the beautiful landscape that the community had to offer. We have traveled quite a bit with our children and its always nice to find a place that you can just settle into without worry. For us this is that place! I hope to visit St. Joes yearly and will always book here knowing that all my families needs for comfort, cleanliness, and convenience will be met!!! Thank you for helping to make such wonderful family memories in St. Joes. We can't wait until we come back next year. Beautiful and comfortable home! We felt like we were at home during our entire stay. The owners did a wonderful job providing everything that anyone would need. This is the best rental we have ever stayed at and we will rent this place again! Homeowner was very pleasant and always available during my tenure on the property. The home is very pleasant, warm and cozy. Thank you Klomfar family. This house was very clean and organized. The hosts took great care to think of what would make guests comfortable in their home. The pool was fun and the location to the beach was a quick drive...the parking pass for the beach was a great extra bonus. We enjoyed our stay. Other Activities: Private/ Gated heated pool & hot tub!